Tour Scotland Quiz. Where is this abbey located in Scotland ? Find the answer here. Branklyn Garden, Perth, Perthshire, Scotland. This small, but beautiful garden is always worth a visit on any tour of Scotland. Branklyn Garden Photos. Tour Scotland Quiz. Where in Scotland did they used to kirn the milk ? Find the answer here. Tour Scotland Quiz. Brechin was the birthplace of which important pioneer in the early development of radar ? Find the answer here. Tour Scotland Quiz. Dunbar is noted as the birthplace of which explorer, naturalist and conservationist ? Find the answer here. Tour Scotland Quiz. 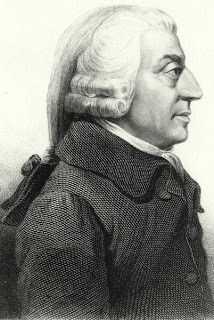 Which Scottish economist wrote The Wealth of Nations ? Find the answer here. Tour Scotland Quiz. 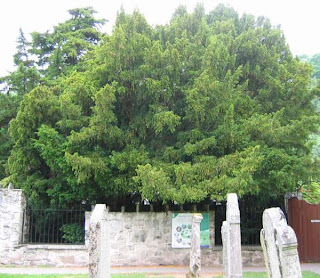 Where in Scotland is there a yew tree believed to be the oldest in Europe ? Find the answer here. Tour Scotland Quiz. 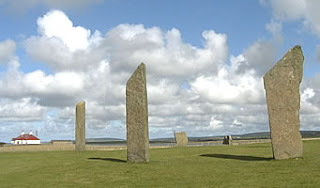 Where in Scotland are the Standing Stones of Stenness located ? Find the answer here. Tour Scotland Quiz. 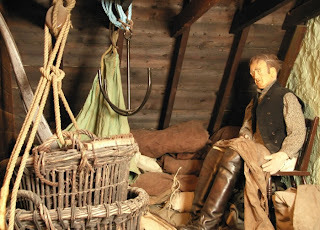 Where in Scotland is the Scottish Fisheries Museum ? Find the answer here. Tour Scotland Quiz. On which Scottish island is the Gaelic College located ? Find the answer here. Tour Scotland Quiz. 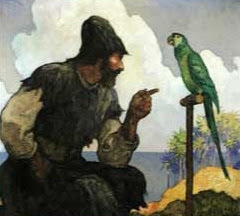 Where was the real Robinson Crusoe born ? Find the answer here. Tour Scotland Quiz. 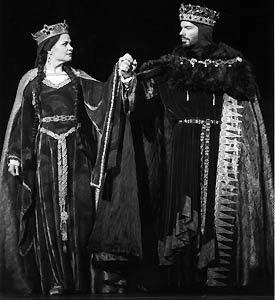 Who was the king of Scotland from 1040 to 1057 ? Find the answer here. Tour Scotland Quiz. 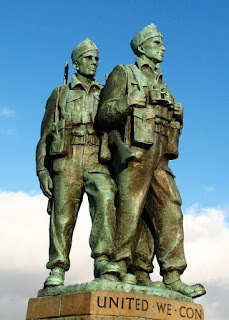 Where in Highland Scotland is the Commando Memorial ? Find the answer here. Tour Scotland Quiz. 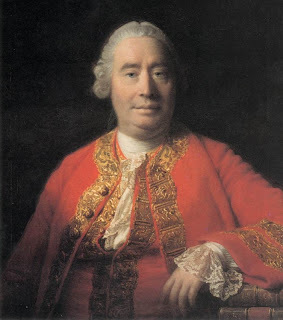 Which Scottish philosopher wrote A Treatise of Human Nature ? Find the answer here. Tour Scotland Quiz. 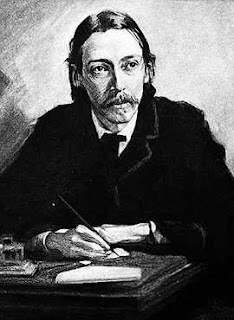 Which Scottish author wrote the stories of Sherlock Holmes ? Find the answer here. Tour Scotland Quiz. In which glen were the MacDonalds massacred by the Campbells in 1692 ? Find the answer here. Tour Scotland Quiz. Which Scottish person invented the term, horsepower ? Find the answer here. Tour Scotland Quiz. Which Scottish author wrote A Child's Garden of Verse ? Find the answer here. Tour Scotland Quiz. Who built the Dunkeld Bridge in Perthshire, Scotland. Find the answer here. Tour Scotland Quiz. In which Scottish city is St Machar's Cathedral ? Find the answer here. Tour Scotland Quiz. 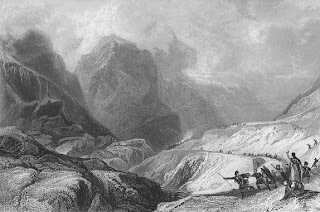 Which Scottish battle took place in 1314 ? Find the answer here. Tour Scotland Quiz. 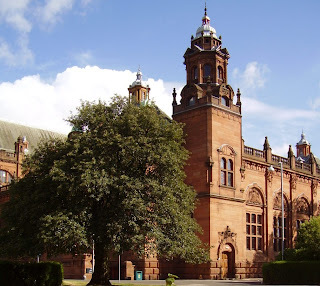 In which Scottish city is the Kelvingrove Art Gallery ? Find the answer here. Tour Scotland Quiz. 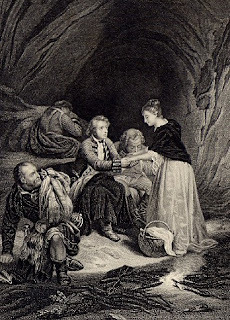 Who helped Bonnie Prince Charlie escape to Skye ? Find the answer here. Tour Scotland Quiz. 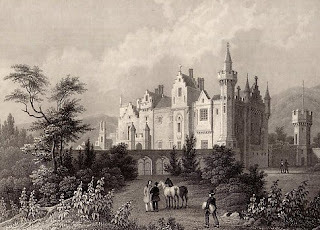 Who lived in Abbotsford House in the Borders of Scotland ? Find the answer here. "The weather forecasters keep talking about Global Warming, well, it's about time it came to Scotland." Weather Scotland. A visitor cannot spend ten minutes in Dunfermline without gravitating to the history soaked walls of the old Dunfermline Abbey. 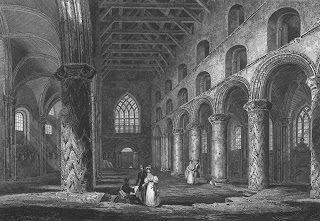 Arbroath Abbey was completed in 1233 and was the setting of the signing of the Declaration of Independence in 1320, from which the Americans based their own Declaration of Independence. Tour Arbroath. 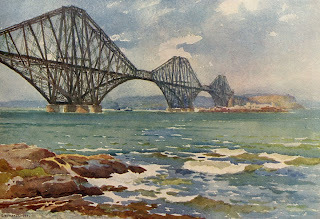 The Forth Bridge is a cantilever, railway bridge over the Firth of Forth in the east of Scotland. The bridge connects Scotland's capital Edinburgh with Fife, and acts as a major artery connecting the north-east and south-east of Scotland. St Monance in the East Neuk of Fife, Scotland, is well worth a visit to capture the atmosphere of an old, close knit, Fishing community. 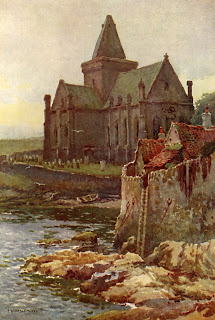 For centuries the people of St Monance lived, worked, and worshipped by the sea. It was part of their life and a constant struggle just to survive. The old houses of St Monance reflect this struggle as they fight for a precious foothold on the rocky shores around the harbor. Even the old Church to the west of the village stands defiant on the seashore. Pittenweem is a fishing village located in the East Neuk of Fife, Scotland. Recent photographs of Pittenweem. Culross is an attractive example of an old Scottish burgh in West Fife, situated on the River Forth seven miles west of Dunfermline. Created a royal burgh in 1588, Culross was the legendary birthplace of St Kentigern, also known as St Mungo. 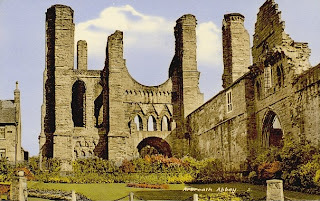 An abbey was founded here in 1217 by Malcolm, 7th earl of Fife, and during the 17th century salt panning, coal mining, weaving and trade with the Low Countries from the foreshore port of Sandhaven were developed, chiefly by the enterprising local merchant Sir George Bruce. Another famous product of the town at that time was the iron baking girdle. 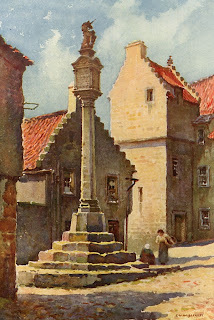 The village of Culross is rich in 17th and 18th century cobbled streets. The main historic landmarks are: Culross Palace, built by Sir George Bruce in the 16th century; 13th century Culross Abbey, a Cistercian foundation; the Town House (1626); and The Study (1633) with its corbelled top storey. I was born in Buckhaven, in Randolph Street, then moved to Methilhill prior to moving again to spend most of my childhood in Cellardyke in the East Neuk of Fife. Dysart, Fife, Scotland. St. Serf's Tower used to be the tower of St Serf's Church. Dedicated in 1245 by Bishop de Bernham it had been a place of worship for many years before. 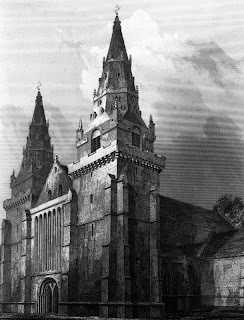 However by 1800 the church had fallen into disrepair, and with costly repairs it was abandoned in favour of a new church. The main building of the church was destroyed when a new road was built, leaving the tower as the ony remains of the church. With 103 steps to the top, it provides panoramic views of the area and was used as a lookout during the First and Second Wars. 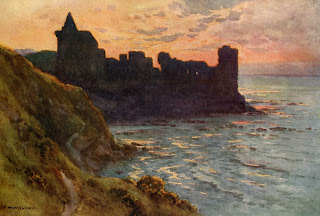 Overlooking the foreshore, the ruins once formed part of the palace and stronghold of the Bishops and Archbishops of St Andrews. The castle, founded around 1200, suffered greatly during the Wars of Independence. Bishop Henry Wardlaw, founder of the university, was tutor to James I and it is possible that his young charge spent time here prior to his captivity in England. Bishop Kennedy taught James II how to break the power of his nobles by comparing them to a bundle of arrows, with the suggestion he snap each one individually. Tour St Andrews. 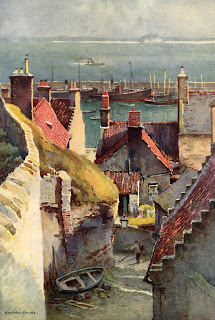 Crail, in The Kingdom of Fife, is a very popular East Neuk village adored by both artists and photographers. 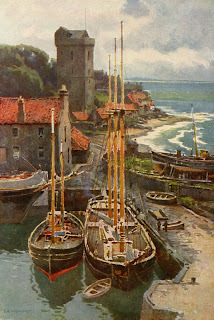 The picture of Crail harbour with its little houses, white walls, crowstepped gables and red pantile roofs, features on the front of numerous brochures and many calendars. 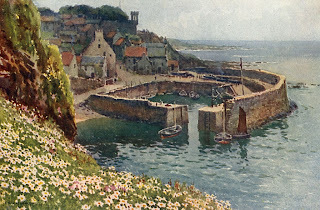 Yet there is much more to Crail than the pretty harbor which was the lifeline for one of Scotland's most prosperous burghs in medieval times. 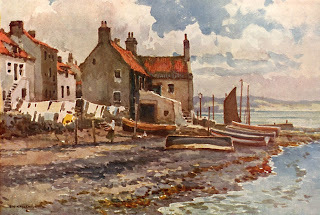 Aberdour Harbour is located in Fife, Scotland, on the Firth of Forth. 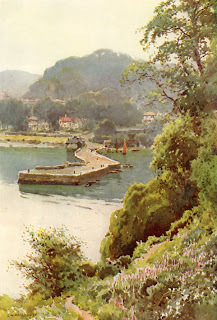 Above the old harbour is Aberdour Castle. 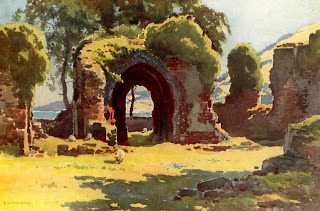 Lindores Abbey is steeped in Scottish history, it was here in 1306 that the three puissant knights, Sir Gilbert Hay of Errol, Sir Neil Campbell of Lochaw and Sir Alexander Seton Vowed at the high altar to defend the King Robert Bruce and his crown to the last of their blood and fortunes. 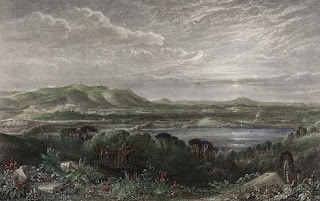 It was also at Lindores Abbey that William Wallace and his men rested after their victorious battle at the nearby forest of Blackearnside. Tour Lindores Abbey. A Lamborghini Murcielago at the Scottish Italian Car Day at Graigtoun Country Park, Fife, Scotland. Very fickle weather in Scotland today. Dropped into this car show for a little while, took some photographs, and left just as the weather worsened. Scottish Italian Car Photographs. A wee video snippet of the Scottish National Fireworks Championships held on Saturday evening, May 26th, at Perth Racecourse, Scotland. 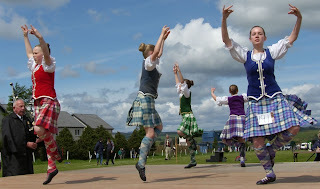 Highland Dancing is thought to have originated in the Highlands of Scotland around the 11th Century. The dances require a great deal of stamina. In judging the competition dances, the judges look for are the precision and timing of the steps in conjunction with the required arm and leg movements. The dance should appear relaxed and in control of all movements. Scottish Highland Games. Spent the afternoon at Blackford Highland Games, Perthshire, Scotland. A traditional Scottish Highland Games which included highland dancing, track athletics and cycling, tossing the caber, putting the shot etc; Other attractions included vintage tractors, and classic motorcycles. Blackford Highland Games Photographs. Abernethy is one of my favourite villages in Scotland. 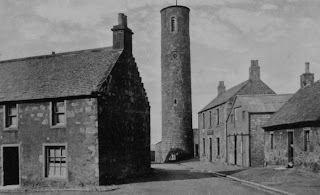 The village of Abernethy, formerly Southern Pictish capital of Scotland, has at its centre a Pictish round tower, one of only two in Scotland. The village is a conservation village which has been upgraded over the last few years. Abernethy itself has played an important role in Scottish history over the centuries. Several high status Iron Age hillforts are known to have stood in and around the parish, and the Romans made their mark nearby with a temporary marching camp at Carey and a large fort at Carpow, on the banks of the Tay. This fort was an important military and naval base during the third century AD campaign in northern Britain. After the Roman withdrawal, Abernethy is said to have become the royal and ecclesiastical capital of this part of Pictland. 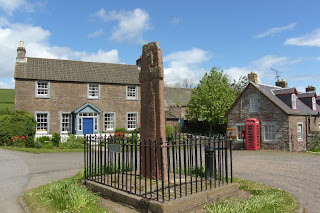 Aspects of the Pictish kingdom still remain - there are quite a few Pictish place names in the parish (the name Abernethy itself comes from the Pictish 'mouth of the Nethy (Burn)'), and several carved stones, some of which can be seen in the museum. In 1072, Malcolm III 'Canmore' met the invading English king William the Conqueror at Abernethy, to negotiate a treaty. This treaty recognised the extended Scottish border, secured in the Battle of Carham half a century earlier, and gave Malcolm land in England in return for his paying homage to William. Abernethy Museum. Patchy weather today in Scotland, some bright sunshine, a few showers of rain, and some heavy cloud cover. Typical Scottish weather. Toured Fowlis Wester today, a small village located in Perthshire between Perth and Crieff. 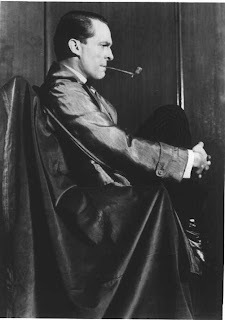 Fowlis Wester Photographs. Dunfermline Abbey stands on a ridge that falls steeply on the south and west to the course of the Tower Burn which flows through Pittencrieff Park. 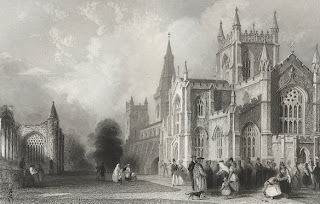 The original Benedictine priory was founded in the 1070s by Queen Margaret on the site of an earlier chapel of the Celtic Church and in 1128 her son David I extended the building and increased its status by making it an abbey. The western part of the present building is the nave of the Abbey church built by David I between 1128 and 1150. The eastern end, with the tower bearing the words King Robert the Bruce, is the new parish kirk that was built on part of the ruins of the old abbey in 1818-21. I was asked recently if I had any photographs of Anstruther from my teenage years. 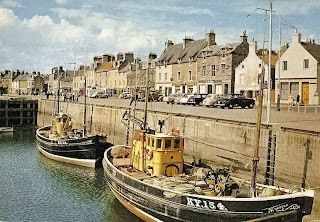 This photograph show Anstruther, Fife, Scotland, when it was a busy fishing port. Early in the morning in Scotland. Dawn over the River Tay. Another beautiful day in Highland Perthshire. Loch Rannoch, Scotland, is a large loch running east to west and extending to ten miles in length and just over a mile at it widest. The small village of Kinloch Rannoch lies at the eastern end of the loch. Tour Kinloch Rannoch Photographs. A small waterfall in Highland Perthshire, Scotland. The River Tummel begins at the East end of Loch Rannoch and flows through Highland Perthshire to Loch Tummel. In the background is Craig Varr, a crag that lies just to the North East of Kinloch Rannoch. Spent today touring Highland Perthshire, Scotland. This is a typical narrow Scottish road in the Highlands. Not too much traffic, but you have to be aware of the sheep that range freely in this landscape. Crossing Aberfeldy Bridge this afternoon in Highland Perthshire, Scotland. Aberfeldy Bridge is a famous Scottish bridge, which provided the vital crossing of the River Tay for General Wade's network of military roads. 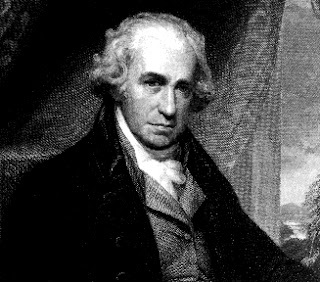 The bridge was constructed in 1733 to the design of architect William Adam, father of the more famous Robert Adam. Tour Aberfeldy. A wee video snippet of a vintage double-decker bus at the Scottish Vintage Bus Museum. Visited the Scottish Vintage Bus Museum today. The museum is located at Lathalmond by Dunfermline, Fife, Scotland. I had not visited this museum in the past and I wondered whether it would be worth a visit. Actually, it was a most enjoyable experience, with lots to see and do, including free bus rides on vintage vehicles. With both indoor and outdoor exhibits, it was easy to escape the constant showers of rain. 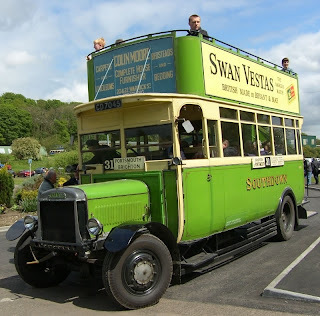 Vintage Bus Scotland Photos. 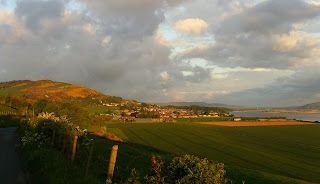 One of my upcoming tour guests has a family connection to Inverkeithing, Fife, Scotland. The photo above was taken in Inverkeithing High Street in 1910. 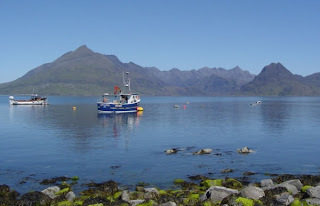 Skye and its smaller neighbours that make up the Inner Hebrides are known for their wild, beautiful landscapes of deep lochs and jagged mountains, which provide a challenge for the most experienced climbers. The islands have a harsh history, with Norse invasions, fierce clan feuds and the forcible eviction of much of the population during the Highland Clearances of the last century. Tour Skye. 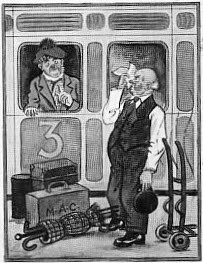 When packing for a small group tour of Scotland, please limit your luggage to one large suitcase per person, and one carry-on bag. The dream of every Scottish fisherman; to catch the Loch Ness Monster.
" If I had known you fancied a dip in the ocean, I would have brought my swimming costume."